Brendan Rodgers advises Maurizio Sarri what he is doing wrong at Chelsea: Agree? Chelsea lost 4-0 to AFC Bournemouth during their midweek Premier League encounter. 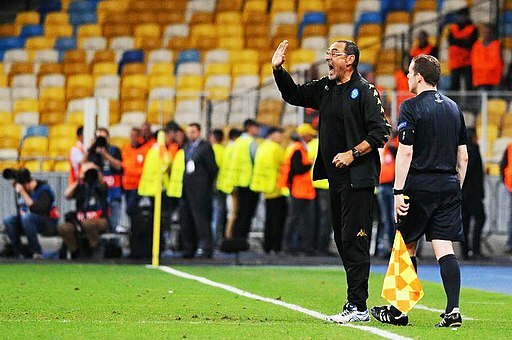 And this is a new low, for not only Maurizio Sarri but also for the Blues. The 4-0 loss is the heaviest Premier League defeat that the Blues have suffered in more than 20 years and now many are wondering whether the Italian manager will be able to last the full season at the Bridge. It is being reported that the manager was furious after the loss to the Cherries and in a bid to find out what went wrong the manager locked his players inside the dressing room for more than an hour. While many fans will be happy that their manager is taking such bold steps but Celtic manager Brendan Rodgers feels that the Italian is doing it all wrong. Speaking to Alan Brazil and Dean Saunders on Thursday’s Sports Breakfast, the former Chelsea coach said: “When I started coaching over 20 years ago it was very different. “Years ago, when you guys were playing, you’d have worked with managers who sometimes to be clear had to be very harsh, but you took that on. You took that on and you probably said to yourself, ‘I’m going to show them that I’m better than that’. “The culture is also now much more diverse and in their culture, they might not have that. The 4-0 loss means that Chelsea have now slipped down to the fifth spot on the Premier League table and with each passing game the dream of getting back into the Champions League seems to be fading away. Read: West Ham United almost blocked ‘this’ player from joining Chelsea. Previous articleChelsea all set to offload this forward man and have already accepted two different bids: Where will he go? Next articleHere’s why Arsenal have signed Denis Suarez from Barcelona: Will he start vs Man City?